Without naming my favorite, though, I will say that any book that touches on family would fall in the favorite category. Pretty much any book I enjoyed becomes a favorite in some way. So yeah, I can't answer that question! Lol! I couldn't name an all time favorite either. Yeah, I can't pick ONE favorite! In classics and literary fiction, I do have one that tops the rest: "Jane Eyre". But I also read genre fiction (a/k/a popular fiction), and I have LOTS of favorites there! Comparing books to one's children is really cool, Elizabeth! It's a very apt metaphor, especially in my case, because I actually hug my favorite books! Lol. Hi Maria...great to see you on the HOP today. That is good you can choose a top one. It is too difficult to choose one book since I like all of the ones I read or I wouldn’t read them. LOL!! I have so many favorite books that I treat like my tiny children! I don't have children, so I love and protect my physical books like they're my own. Also, I don't buy physical copies very often, but when I do, I make sure to take care of them the best I can. Great answer, and I agree. That's a really great question. Thank you for asking it. I think it's really hard and nuanced. But I definitely have some favorites here and there. LOL. Thanks for commenting, A. Reiding. Elizabeth I feel the same. So daunting to pick ONE favourite. Thanks for commenting, Angelica Joy. Absolutely. It's too hard to choose just one. Great answer! I definitely don't like choosing favourites because I think there are way too many to choose from and there's always a new book just around the corner that I may end up liking even more. It's great that you have a favourite 'genre' though - books that touch on family are great and it's nice to know what you enjoy. It's absolutely like choosing a favorite child. Choosing a favorite author--same. There are times I dive into Stephen King, well not much anymore, but at one time. Other times, I'm all over Barbara Kingsolver. I'm moody, so maybe that's part of the reason for my answer, but I love good writing and good writers, so there's no favorite. Love your answer about good writing and good writers....PERFECT!! I think I could choose a favorite group but definitely not a favorite book! It might be easier to choose a favorite child. Totally agree. I missed this week since I was launching two books in May--two books in one month is something I'll never do again. I'll be tackling the next question on Monday. See you then, cleemckezie,and thanks for commentint. 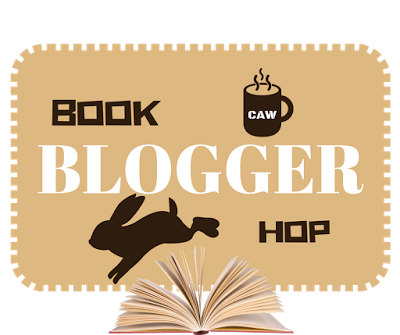 Yes so true I am the same way as well about choosing a favorite book, thank you so much for stopping by my blog hop last week Elizabeth.